In other news I have made some good new contacts in recent weeks resulting in meetings which may lead to exciting things…. sorry to be cryptic but don’t want to count my chickens or jinx things before contracts are signed. Will of course post up any info here, when I have confirmations. So I have been trying to learn MAYA. 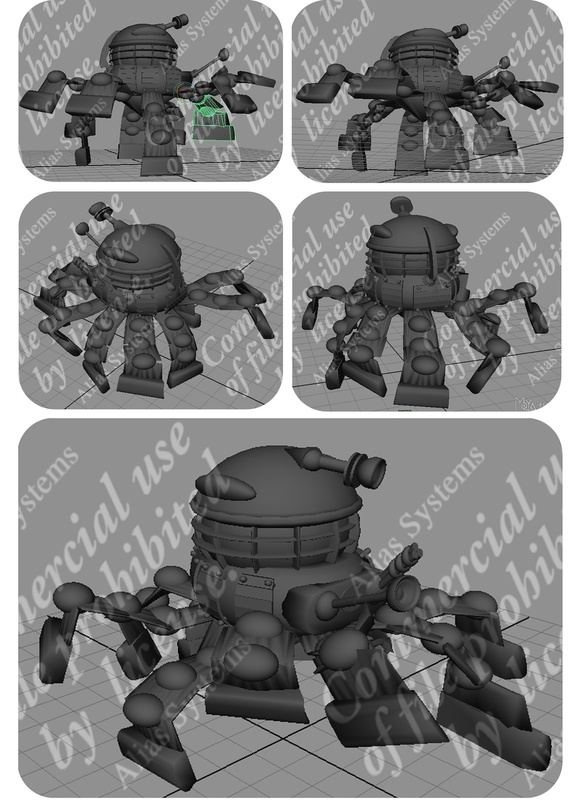 A 3D animation and modeling package. It’s a steep curve but am starting to make some dent on it. Here is the first project of my own. 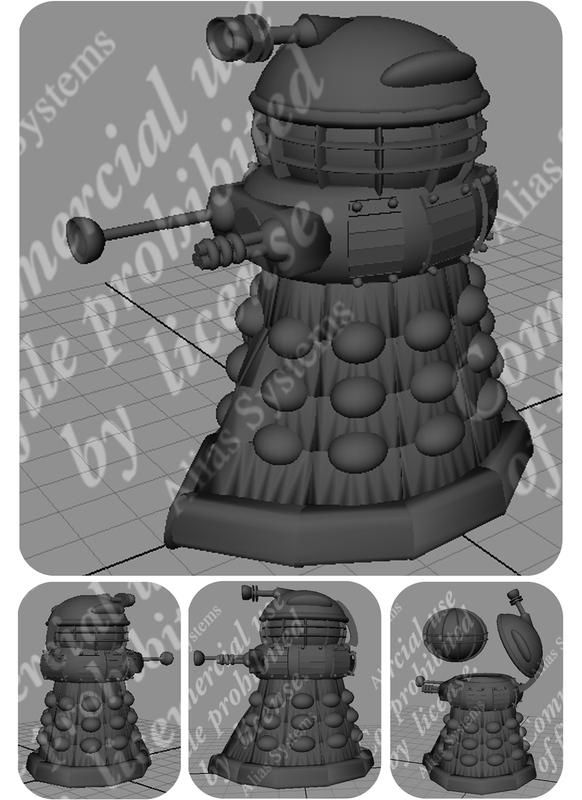 I decided to give the DALEK a makeover. Given it a rethink. The creature now stays in it’s sealed pod and the whole cage unit/life support is moved from transport base to emperor base to heavy weapon base to whatever. The creature never need leave it’s protective cocoon. Also the skirt part can be used closed in a strong armour configuration we are used to, or split open to cross difficult terrain such as STAIRS! Yes it does look a bit Steam-Punk. I cant get enough of those rivets…. I have illustrated the new album cover for Debut UK rock Wunderkind “Pornovurt”. The CD is out next week (8th I think) and is available from all major music outlets (Tower, HMV, Virgin, Woolworth, Play.com etc etc) Its also on preorder on most of these shop’s websites. There is a launce party at Madam JoJo’s in London and a Uk tour to follow that.And an online single is available now. If you like your Rock chunky but with style you should check it out… Well you should check it out anyway cos I am telling you to….